Home » Christian living » Do you have your clothes on? Do you have your clothes on? Are you clothed in Christ? The Bible says in Romans 13:14 we are to clothe ourselves with the Lord Jesus Christ and make no provision for the flesh. How do you clothe yourself in Christ Jesus and make no provision for the flesh? In mainstream Christianity, we are told this happens when we accept Yeshua (Jesus was born in Israel and lived as a Jew, so His Hebrew name is Yeshua) into our hearts and believe He died for us on the cross. Believing in the death, burial, and resurrection of Yeshua is vitally important for us. 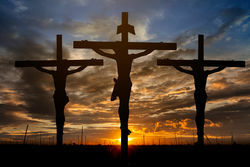 If He did not die on a cross for our sins, was buried and resurrected to a new life we would all be lost and help captive by the law of jealousy in Numbers 5. Because He died, was buried and resurrected to a new life He was freed from the law in Numbers 5, and all who believe He died for them will also be counted as one with Him and freed from the law in Numbers 5. If we are freed from the law of jealousy Yehovah can accept us back on account of our obedience to righteousness (Rom 6:15-23). The Bible defines righteousness as obedience to the law of Moses (1.John 3:7), so we know we are saved by grace through faith so we can begin being obedient again to the law of Moses. In 1.John 2:6 it says that those who are one with Christ must live the way He lived His life. We know He was born as a Jew in Israel and all Christians believe He kept the law of Moses perfectly to be able to be Gods sacrificial lamb. So what 1. John 2:6 says is this, if we are one with Him we have to obey the law of Moses perfectly the way He did. 1.John 3:7 says if we do this we will be righteous because righteousness comes by what we do, not by what we believe. James 2:10-26 says if we believe Yeshua died for our sins it will show itself in our desire to obey righteousness, so we see by this how James 2:10-26 and 1.John 3:7 says that if we are saved by grace through faith, it has to show itself in obedience to the law of Moses. If there is no desire to obey the law of Moses, then your faith is dead, and you are not saved. This is what Romans 13:14 talks about when it tells us to clothe ourselves with Christ Jesus. When we believe He died for our sins and it shows itself in how we live our lives in obedience to the law of Moses, we will be one with Yeshua and clothed in Him. Most Christians today obey what they call the moral commandment of the law of Moses, but they have been taught it is not necessary to obey the Shabbat commandments, the Lord’s feasts or the law of clean and unclean foods because that was “done away with at the cross”. It is true that a lot of the 613 commandments in the law of Moses cant be obeyed today because they require access to a temple and they require us to be physically in the land of Israel. We are not in Israel right now, we dont have access to a temple, so we just have to accept we can’t obey some of the 613 commandments. But there are a lot of them we are well able to obey outside of Israel, without access to a temple. One of them is the commandment to celebrate Shabbat. Today it is Friday, and the Shabbat will begin in a few hours from now. There is only one rule for the Shabbat in the Bible, do not work for money and do not make others work for money. So make sure to do your groceries today before the sun sets. There are of course exceptions to this; the Bible allows us to break Shabbat in case of a medical emergency or if you have a medical condition that only allows you to do certain things during the weekend. But the rule is this; if it can wait until the sun sets tomorrow, it has to wait. So make sure you are clothed with Christ by celebrating the Shabbat tonight, and if you have been told it is to difficult to keep the law of Moses you only have to read 1.John 5:3 and Deut 30:4 where it says it is easy to obey the law. Yeshua even expects you to obey it as a sign of your love for Him (John 14:15), so do you believe it is difficult to prove your love for Yeshua?